Stripers Forever believes that the wild striped bass should be declared a gamefish throughout its range along the Atlantic Coast. The real value of striped bass is not as a seasonal market commodity, but as a public resource that offers social, economic, and recreational benefits to millions of Americans from Maine to South Carolina. Visit this link to view a Power Point presentation containing footage of commercial striper fishing in N. C. and a 6 minute presentation of the facts that favor designating striped bass as game fish. The wild, migratory striped bass of the Atlantic Coast have provided an important source of food and recreation ever since the colonization of North America. Striper populations rise and fall like the tide, depending on biological vagaries like spawning success, habitat quality, natural predation, and pollution, and on fishing pressure levied by recreational anglers and commercial fishermen. At present, the numbers of striped bass are on the upside, but recreational anglers up and down the coast are catching far fewer large, mature stripers – the prime breeders of the species – which suggests a serious imbalance in the makeup of the coast wide bass population. We believe the reason for the dearth of large stripers in the population and the highly restrictive catch-and-keep regulations imposed on recreational anglers is because the commercial fishery has been allowed to indiscriminately target mature bass along the coast, while at the same time netting young fish in nursery areas. The cumulative effect of the commercial effort is, in a word, overkill. The striped bass fishery on the Atlantic Coast is managed by the Atlantic States Marine Fisheries Commission (ASMFC), a federally mandated group comprising three members from each coastal state. The ASMFC establishes guidelines for the coastal striped bass fishery and each state then sets its own regulations within those guidelines. 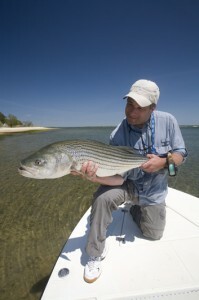 There are some 3,000,000 recreational striped bass anglers on the Atlantic Coast from South Carolina to Maine whose interests range from the pure enjoyment of catching fish and taking the occasional bass home for dinner, to the more sophisticated pursuit of hooking and then releasing trophy stripers. Neither of these angling groups is faring well under current ASMFC management policies. The anglers who hunt big bass are seeing fewer and fewer mature fish, and the fish for fun anglers are more often than not prohibited by strict size regulations from keeping any of the stripers they catch. Stripers Forever feels strongly that there are not enough striped bass in the Atlantic to provide both a quality recreational fishery and a commercial harvest. But because the ASMFC has a well-documented bias towards commercial harvesters – indeed, managing commercial fisheries occupies most of their time – recreational fishermen have been left in the lurch. 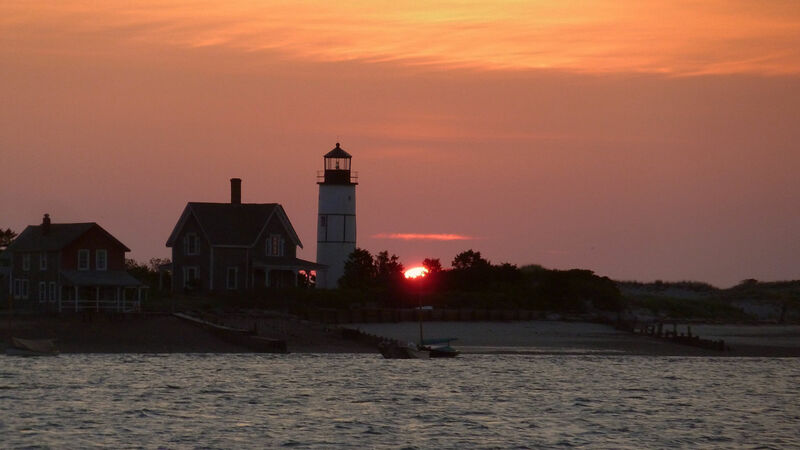 • There are roughly 300 recreational striped bass anglers for every commercial fisherman, yet the measured legal commercial quota is roughly 40% of the recreational bag in total numbers of fish taken. Fishery managers extrapolate the recreational bag by combining a theoretical and very high ”guesstimate” of fish landed with fish lost to hook and release mortality. But those same fishery managers have consistently refused to make any estimate of the illegal commercial harvest, which arrest and conviction records show to be very significant. • The recreational catch numbers are based in large part on hook and release mortality estimates that many believe are not only out of date, but are much higher than other recent studies show. What’s left out of the equation is the well-documented, ongoing illegal commercial harvest which is thought by many to be a very large percentage of the total legal striped bass harvest. Even the crudest estimate of these two variables puts the total commercial harvest of Atlantic Coast striped bass at a much larger number of fish than the recreational harvest, even though the commercial fishery has less than 1% of the participants! The great majority of commercials work part time at catching striped bass. Known as “pin hookers,” they fish primarily with rod and reel and sell the bass they catch. There are more heavily capitalized net fisheries in Chesapeake Bay and in North Carolina waters, but it is important to note that in no state has the economic value of the commercial fishery come even remotely close to the value of the recreational fishery. 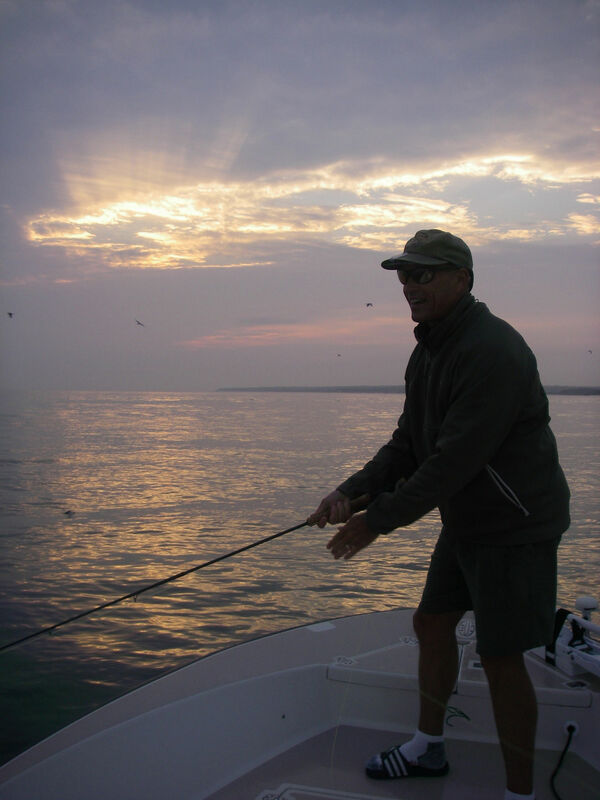 • In 1980, before the striped bass population collapsed from fishing pressure, the recreational regulations in most states mandated a minimum size of 16 inches with no bag limits –a far too liberal policy as it turned out. 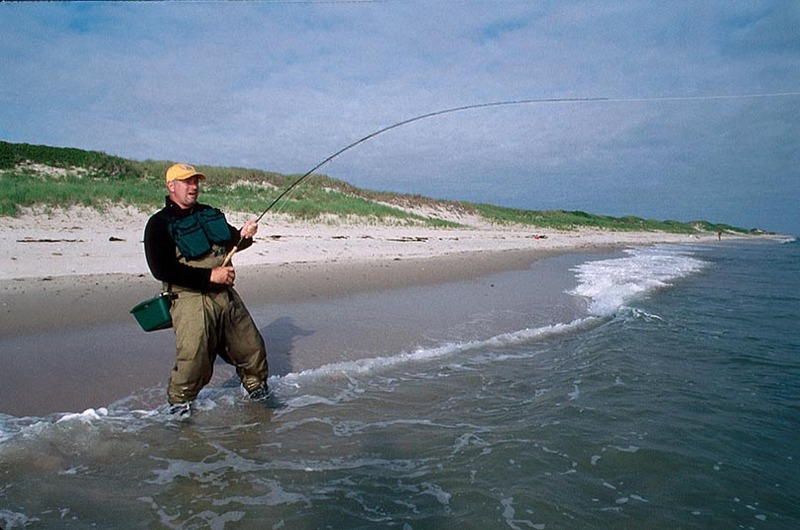 Today, the coastal recreational fishery operates under much stricter regulations, limiting anglers in many states to a single striped bass at least 24 or 25 inches long. In states with coastal commercial fisheries, the minimum legal size for anglers is 28 inches, which puts a bass for dinner out of reach of the great majority of rod and reel fishermen. In Maine, anglers are allowed to keep one striped bass as small as 20 inches, or one over 40, but none between 26 and 40 inches. With these highly restrictive angling regulations in place from Maine to North Carolina, fishery managers have made room for a large commercial quota at the expense of millions of recreational anglers. • By keeping a high size limit, both the coastal recreational and commercial fishing efforts are being concentrated on the larger, mature fish. 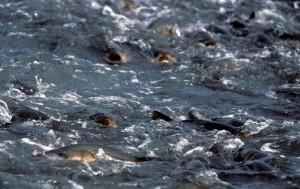 The result is that there are far fewer of these prime breeder fish in the population than is optimal for a healthy stock. The quality of the fishing suffers, the health of the stock suffers, and recreational anglers are deprived of a basic right of citizenship — which is their historical access to this public resource. • In Chesapeake Bay and its tributaries, a major striped bass spawning area from which fish migrate up and down the Atlantic Coast, two stripers as small as 18 inches may be taken daily, a reasonable bag limit for the estimated 1,500,000 anglers who fish these waters. But the combined 11,000,000- pound commercial, recreational, and charter boat quota for the Bay area puts a very large dent in the numbers of fish that join the coastal migratory stock. The elimination of the legal commercial fishery – which receives 40% of this quota – as well as the large illegal fishery, would make it much easier to return a healthy year class distribution to the entire striped bass population. In summary, the current striped bass management scheme under the aegis of the ASMFC has in essence privatized the resource for the benefit of a small number of part time commercial fishermen who are harvesting an inordinate number of bass in the Chesapeake Bay system and elsewhere along the coast. We believe that all commercial fishing for wild striped bass should end. The ASMFC would continue to provide the framework for managing stripers; they would also take responsibility for establishing the fishing mortality levels necessary to maintain a healthy resource with a well-balanced natural age class distribution. Meeting those key conservation goals would provide a high quality recreational/personal use fishery and the significant social and economic benefits that go with it. While it is important that anglers be allowed to catch and eat their own striped bass rather than be forced to buy them at market, converting any part of the current commercial quotas to increase recreational bag limits – or even maintaining the existing recreational limits – should depend on the successful pursuit of the conservation goals outlined above. How Will We Benefit and Who Will Get Hurt? The fishing public, even restrained by very modest bag limits and moderately high minimum sizes, could easily harvest all that a well managed wild striper population can provide without any help from commercial fishermen. Making the striped bass a gamefish will simply mean that those who wish to catch their own will be given priority over those who want to buy their own at market. This is the way a free society should work. Personal harvest has historically been given preference over the market when the resource was too limited to provide both. The precedents are in place — market gunning and freshwater commercial fishing were both outlawed in the United States when they threatened personal use access to public resources. And so it must be with the striped bass, which is far more valuable as a gamefish than as a commercially harvested commodity. The existence of proven aquaculture operations works in favor of gamefish status for wild striped bass. The marine habitat along the Atlantic Coast can only support a finite population of stripers. But the earthen rearing pond system used in striped bass aquaculture can produce essentially unlimited numbers of fish without any coastal environmental impact. Pond-raised stripers are more expensive than commercially harvested wild stripers, but the price gap is narrowing. And unlike wild bass, which are only available seasonally, aquacultured stripers can be marketed year round. In 2002, aquaculture operations raised some 12 million pounds of striped bass for the market, 1 million pounds more than the recreational, commercial, and charter boat catches combined in Chesapeake Bay! The elimination of market fishing for wild bass would provide incentives for increased production of aquaculture fish, resulting in more availability and a lower price. Nor would the public lose the food value of wild striped bass. As with other wild game, they would be eaten by the fishermen who caught them – the fairest possible system of allocation. The economic argument for the elimination of commercial striper fishing and the subsequent expansion of recreational angling is ironclad. In 2003 a study by Southwick and Associates revealed that the economic value of the recreational fishery at that time was more than 500% that of the commercial fishery, and recreational participation since 2003 has grown enormously. Bait, tackle and other marine-related businesses, including guiding services and destination travel by anglers eager to sample new striped bass haunts, would all increase dramatically with an increase in the quality of the fishery. Employment in these recreation-based businesses is usually year-round and employee benefits often include health and retirement plans. From an economic standpoint, we are literally throwing money away by continuing a commercial striped bass fishery that has outlived its usefulness to society. Striped bass are widely distributed up and down the Atlantic Coast, they are fun to catch and good to eat, and they grow larger than any other inshore saltwater sport fish. Millions of recreational anglers spend an estimated $1 billion dollars each year pursuing stripers from Maine to North Carolina. The pure pleasure they derive from chasing these great fish and from bringing home the occasional bass to grace the family dining table are vitally important quality of life experiences that should no longer be seriously diminished by a commercial fishery which is economically unrealistic and which wreaks havoc on a very valuable public resource.